The blood curdled in your veins. You ran screaming from this website. Which, I’m not going to lie, it kind of makes me heave a great sigh of resignation myself. On the plus side it can be done without too much money or special equipment and the end result is that you now have a wall where once you had none. Of course, there’s always that whole covered-in-drywall-dust-for-the-next-three-weeks thing sitting on the other hand. If you’re just looking for a laugh I’ve saved a video of my five-foot-three self trying to get a nine-foot piece of drywall onto a drywall jack in a nine-foot bathroom for posterity here. It’s not my most shining DIY moment, but you take the bad with the badass here. What The Hell Is It, Anyway? So here’s something that should make you feel warm and fuzzy about drywall. Back in the day, interior walls were made from plaster and lath which meant that someone had to nail inch wide strips of lath over the studs to create the walls and then they had to be plastered over. Which makes mudding a couple of drywall joints sound like a cake-walk, doesn’t it? Currently the interior walls of most houses in the US are made with 4-6″ studs covered with gypsum board. The seams of the gypsum board (which I also sometimes call “wall board” or wallboard, because I’m nothing if not an inconsistent speller) are taped and finished using joint compound, and the walls and ceiling can be left flat or textured with joint compound using various techniques. 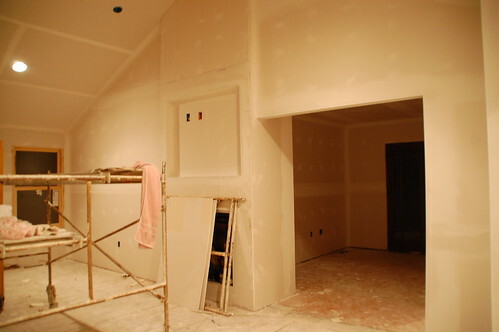 All drywall should be finished with a coat of primer and paint. You know, to cover the stains of sweat and blood. Wall Board – The general rule about drywall thickness is that interior walls use 1/2″ drywall. In some states (like my very own Michigan) you need to use 3/4″ drywall on the wall between the house and an attached garage for fire rating. 5/8″ boards are also recommended, but not required, for ceilings. Mud- Even though it’s a right pain in the back to haul the heavyweight compound around, I prefer it to the lightweight stuff for texturing the walls, but my drywall guru says that lightweight is the way to go for seams and screw holes– and regardless of what you use it all needs to be thinned out a bit with water before using. Tape- Fiberglass, self-adhesive, not-adhesive, thick, thin, ohmigod enough. While I’ve used fiberglass tape on joints before, I probably wouldn’t do it again once I had the joy of working with this machine (which spits mud and tape on the wall for you with just one swipe.) I didn’t even know they made a tool that could do that a year ago, but after seeing it in action I would highly recommend looking for a place that rents one if you have more than, say, two drywall seams to tape. Also, even if you’re hand taping, I found the regular old cheap paper tape is the way to go for the best finish. Corners – This tool will also quickly tape inside corners with regular tape, but if you’re hand taping I recommend the stiff tape that folds into a nice edge. Outside corners are a bit trickier because they take more of a beating. My pro recommended metal corners that have a self adhesive flange on each end, which is the most durable option. Knives – No, they’re not for stabbing your significant other with. Its good to have joint or taping knives in a variety of sizes. 6″ for covering screws, 10″ for the first coat of seams and corners, and 12″ for the final coat. Also, making sure the knife isn’t to stiff is key. Barring that I would use a hand sander with the same kind of head, and as a last resort those sanding sponge things. 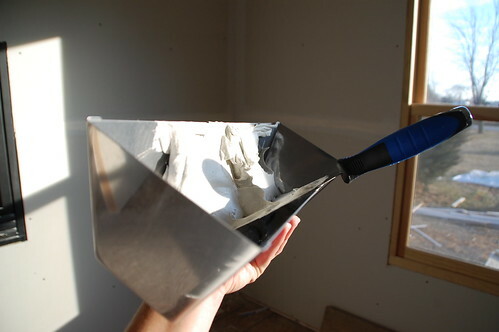 Odds & Ends – For years I would just haul the five gallon bucket of joint compound around the room with me, and then I finally broke down and bought a mud pan, which was one of those “Why didn’t I do this five years ago?” moments. Get one of these and save yourself the *facepalm* moment later. Also having a mixer attachment for a drill is extra handy for mixing up and thinning out joint compound. I also learned that having a 5 gallon bucket with water in it and a large brush is the best way to keep your tools clean without hauling everything out to the garden hose. When I was getting my contractors license a very smart man taught me to think of wall studs as existing purely to hold up drywall and sheathing. 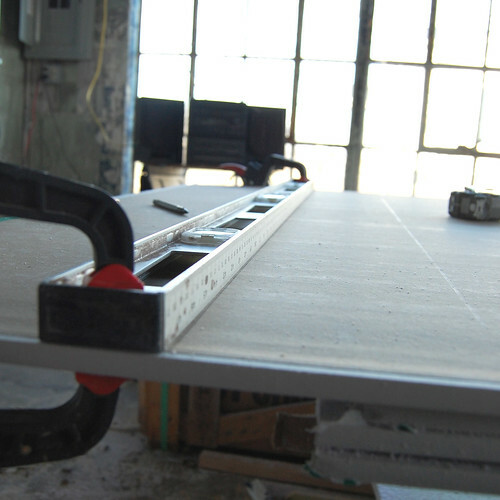 When you start working with drywall, it helps to understand the basic structure of your wall. There should always be a bottom plate (2×4 or 2×6) that runs along the bottom of the wall, along with a top plate ( two 2×4’s or 2×6’s) that run along the top of the wall. If the house was built in the last 30 years or so it’s likely that the studs are spaced 16″ on center– from the center of one stud to the next. With older houses, it’s anyone’s guess, but studs can be up to 24″ apart. For more information on wall framing, check out this post. What all this stuff about wall structure means for drywall is that when you’re hanging wall board you’ll be able to hit wood almost anywhere within the top 2″ of wall, or the bottom 1″, but in the middle of the wall you’ll only find studs every 16″ or around windows, doors, and corners. The ceilings should go on first. Use a drywall jack so that you don’t hate your life when you’re doing this. Work from the top down. Stagger your vertical seams, so if you start with a full 8′ sheet on the top row, start with a 4″ sheet on the bottom row. Always begin and end on a stud. Use drywall screws (or nails, if you have something against your drill) and make sure they are long enough to penetrate at least 5/8″ into the stud. Screws should be used every 12″ on walls, and every 9″ on ceilings. Screw them in just tight enough to slightly indent the paper without tearing it. Wall board can be cut with a regular old utility knife and a straight edge. Side note: Would that or would that not be an excellent band name? As far as screws go, filling in the holes is pretty easy. Just a swipe of thin mud over the screw hole, let it dry, and then hit it very very quickly with a sanding block. If you’re texturing the walls like this, that’s probably good. If you’re going for perfectly smooth walls you’ll have to do one more coat on the screws and another light sanding. Seams are another matter entirely, and if you’re getting ready to finish some you really need to read up on these tips I weaseled out of a pro. Here are a few things to keep in mind, but seriously go read that post. After the first coat dries, sand and repeat the process, making the joint even wider. Finished joints should have about 12″ wide. And that, my friends, is the not-so-horrifying world of drywall. It is time consuming, but a great way to save money on a home renovation project and get a little dirty while you’re at it. Got any dry walling tips? Leave a comment and let me know! The general contractor friend who showed me how to do dry wall always put a slight bend into his mud knives. That way the tips came up from the drywall a bit when you’re mudding, which means that you don’t have the lines and digging in to remove later on. And pole sanders beat the heck out of using a sanding block; they give you more leverage and make the job go much faster. I totally agree on the sander Joseph. At first I didn’t think it would make that big of a deal, but it goes so much faster and easier with the pole. Oh gosh, drywall. I agree with so much of this post after my own experience trying to repair my bathroom walls after peeling off all of the wallpaper. It’s a lesson learned, and one I’m sure I’ll feel like I have a better hang of once I do it three more times to three more rooms. That is, of course, if the labor and stress of it all doesn’t leave me sobbing on the floor. 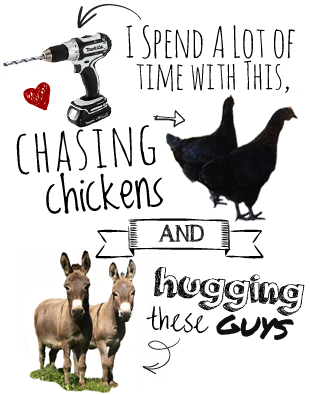 Thanks for showing me that I should be thankful I’m not dealing with plaster and lath! Great tutorial on repairing damage to walls Sarah! We should all be lucky to own houses in the post-lath era. 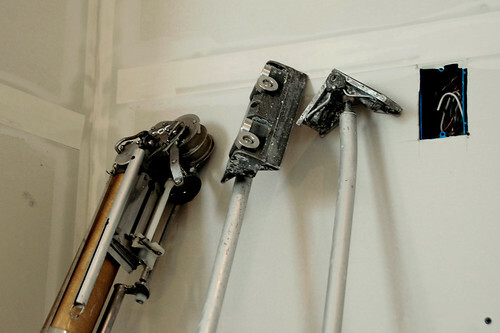 Great primer on hanging drywall. The basics are so important when hanging it, and surprisingly there are licensed contractors who can do a terrible job by neglecting them. I would also like to add that it’s not a bad idea to add a line of liquid nails to the studs behind the drywall to prevent nail pops; which occur when the drywall shifts over time. I am looking for cheap second hand taping and jointing tools. We have done drywall for our kitchen. When we came to our basement that was really a huge space and needed handyman service to complete it. Very informative. I am NOT a pro, nor for that matter even an amateur. The first time I did any drywall, I sanded and had dust EVERYWHERE in the house. The next time I taped the seams, scraped any ridges with a knife, then used a slightly wet, coarse float sponge in a circular motion until it was smooth (no dust). It takes a little experimenting to get the right method, but it was well worth it. note: not too much water, or the paper will start to come off the drywall. I’m with you John, I have a severe dust allergy so I’m all about the wet sponge method. Plus I hate cleaning so why would I want to clean up a bunch of dust if I don’t have to? The last interesting games for girl are called girls games. wedding celebrants and wedding organizers follow to make them. One question: should I or should I not use glue, in addition to screws? People give me different opinions. I have to drywall a new addition, which involves a cathedral ceiling and four walls. There are R38 fiberglass insulation batts in the ceiling. I have patched some holes and etc. Now, on the ceiling I have visible mounds from my patches. I have already primed on the existing oil paint and have added two coats of white latex paint. 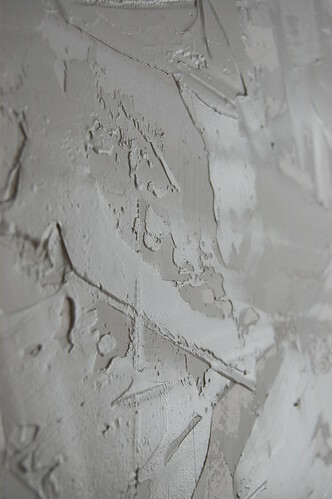 Do I simply sand with rough sand paper, mud and repeats steps back to final painting? Let me know what you recommend on doing for failed patches? This article has helped me out a lot, especially since I’m clueless when it comes to these matters. My wife and I are doing some drywall in a shed that we recently constructed. Thanks for giving me some tips and instructions, especially the part about texturing. 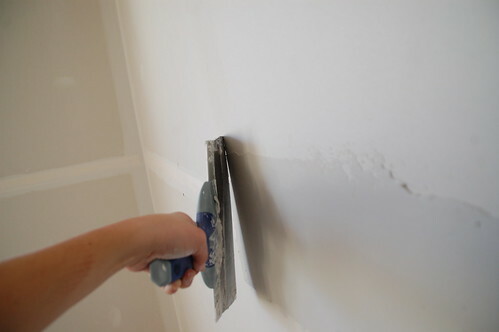 Doing your own drywall work can be a difficult thing if you aren’t quite sure what to do. I like that you went over what tools you would need to do this. It seems like it might be a good idea to have a professional do this for you. I liked this presentation I’m just starting my way in the drywall world but I discovered it by sanding and became a pro at it there are many ways to sand, but what’s most effective is sanding with a drywall sanding machine if you don’t like dust you can hook it up with a vacuum and you will save your lungs but since I have to sand at least 6 houses a week the vacuum method is just too slow, anyways if you need tips on sanding I have a lot of tricks to make the job easier and better. Thank you for all of the great information. I had to fire a contractor/ construction company after they did more damage to my home then an electrical fire had. We took over doing the work ourselves. Drywall and mudding has always been a little scary but now I am repairing walls at friends and relatives after they saw what we were able to accomplish! Thanks again for the invaluable information. The worst boarding job can look as if it was installed perfectly …. 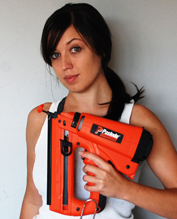 Drywall install tip…. when putting up drywall on metal framing and over cut or don’t fall center of the stud you don’t need to move the stud or remove your sheet. Get your roto-zip with a 1/8 guided tip cut out bit and at the center of your seem edge run the bit up the bevel on the center of the steel stud, in a upwards direction only slowly and cut the drywall…. do the same for the remaining … from bottom up to center….. DON’T try cutting from bottom to top … the bit need the 5 seconds to cool down or you’ll get a really bad cut…. Actual time to complete the fix about 30 seconds..
Really awesome article, thank you for sharing. Very well worded and has tons of resourceful information. Again, thank you for posting. we are in the business of patio building and deal with drywall on certain jobs. this is a great article for those who need to learn the basics of fixing up or repairing any damaged walls. great share. thanks!